Spoiler alert: adorableness ahead! Spring is finally, FINALLY prying Michigan loose from winter's cold dead fingers, and the change of season inspired this Crafts of Kindness post. While it's fun to see newborn animals in their natural homes with their parents at this time of year, not all of spring's new arrivals will be so lucky. Animal Rescues often take in orphaned baby bunnies and birds in addition to the usual domesticated animals like cats and dogs. Bev's Country Cottage has put the word out that several wildlife rescues are requesting crocheted or knitted nests for their animals. I knit one today, following the pattern listed on the Bev's Country Cottage website for a knitted nest. It is imperative that the nests be tightly knit and able to hold their shape. 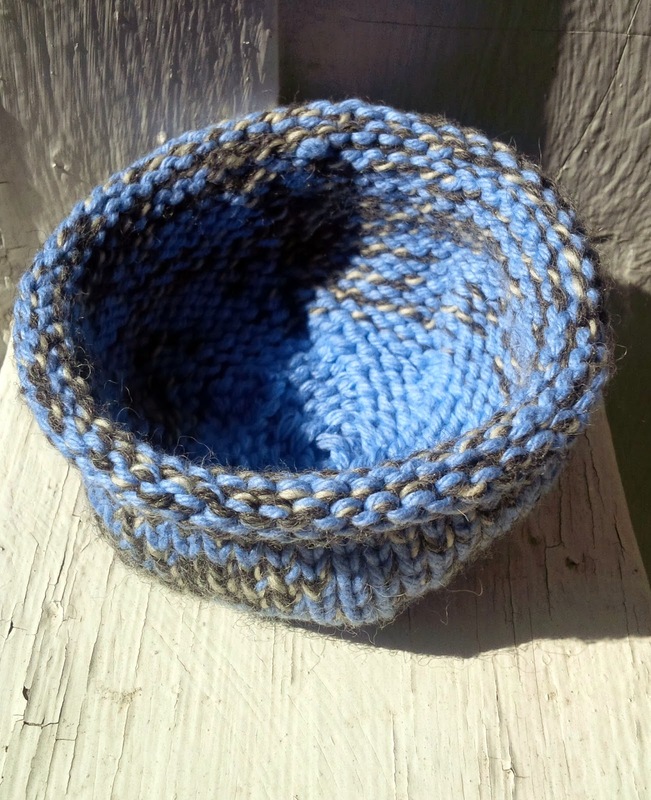 To achieve this result, I knit my nest with two strands of worsted weight yarn held together. Although the pattern calls for size 5 double pointed needles, I worked on circular needles using the magic loop method. Clip of yarn leaving a tail of about 6 inches. 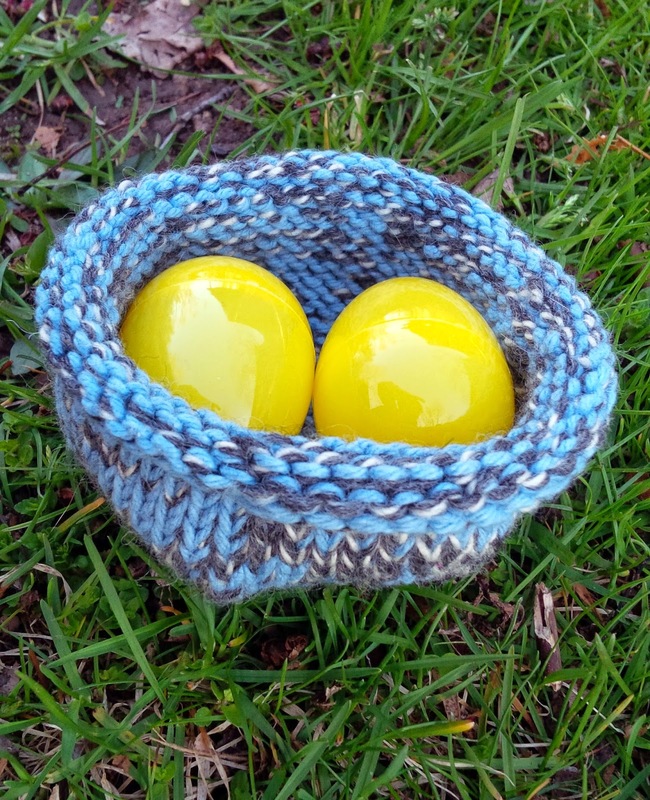 These little nests are quick to knit--I finished mine in just a few hours and I'm not a particularly fast knitter. Added bonus: baby animals aren't choosy about color coordination, so it's a great stash-buster for all of your oddball leftover yarn. This would also be an excellent undertaking for a knit or crochet group. Be creative and enjoy!